and an equally lovely little girl. 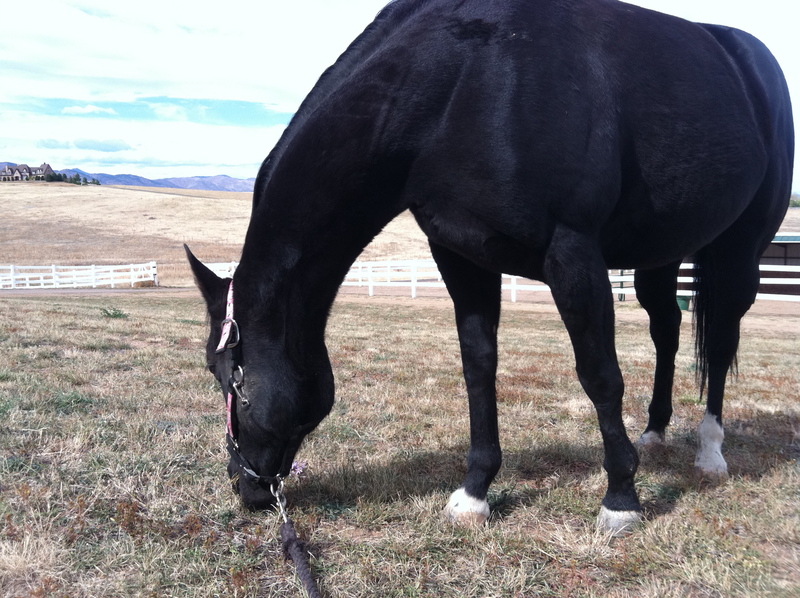 Together we bold over all things girly and horsey. Such a good fit for my life right now. One section of the session is about setting goals for the next week, knowing I’ve neglected this little blog for far too long, I set my goal to blog this week and is luck would have it I have a few layouts to share. It’s no secret I love a good breakfast out and Snooze is my favorite place – lucky for me my sister has fallen in love with their hashbrowns so she makes the drive once a month or so and we have a great time together. 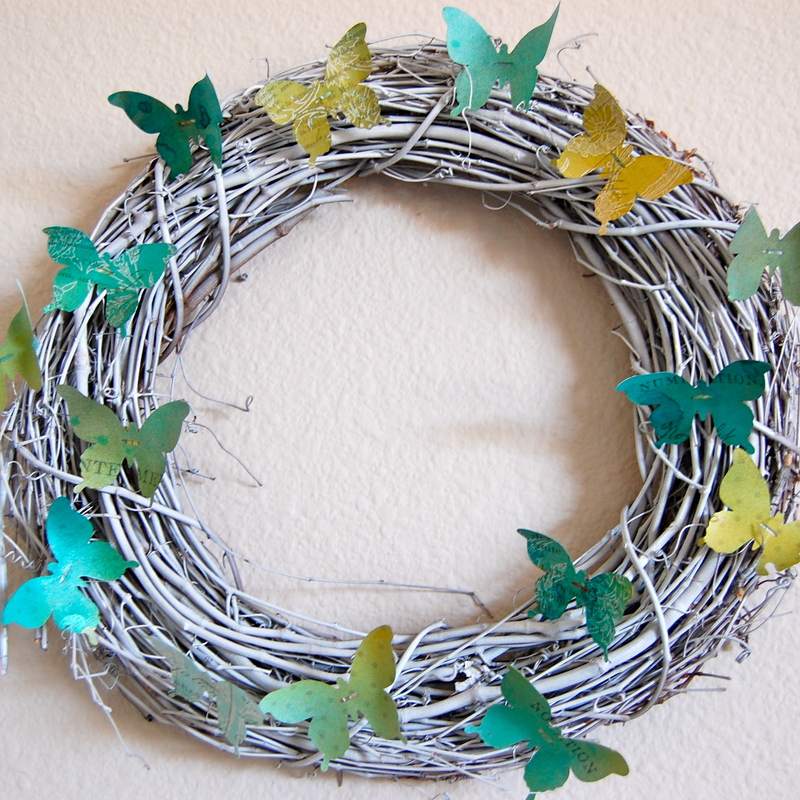 This month at Tattered Angels, we’re all crafting up some cards with a little help from our friends at Epiphany Crafts. 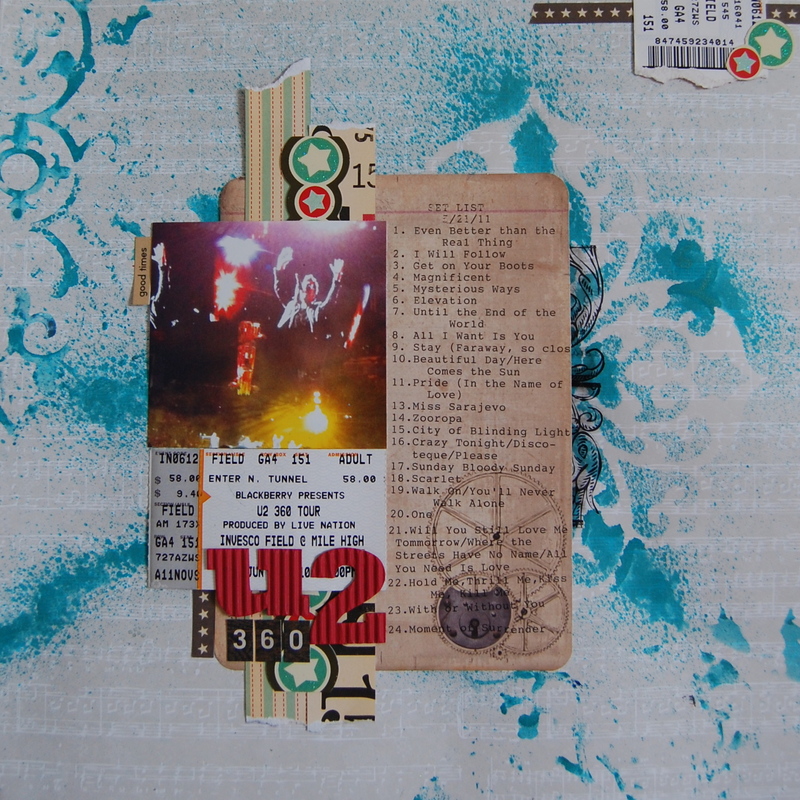 My first card was inspired by a new book I picked up recently –Collage Couture by Julie Nutting. 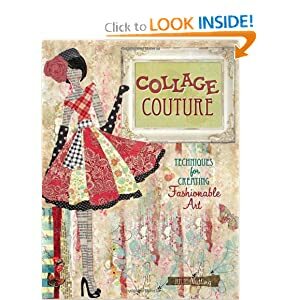 Such a fun book with great tips for illustrations and collage work. I clearly need more practice- I cut my girly out of dictionary paper and misted her with Tattered Rose Glimmer Mist, her top is a scrap with some Mermaid Glam and her skirt is made from hearts punched using the Epiphany Button Studio Heart Tool. For the background I used a Glimmer Screen from the Fancifuls set and Patina Glimmer Mist on top of some Bo Bunny paper. 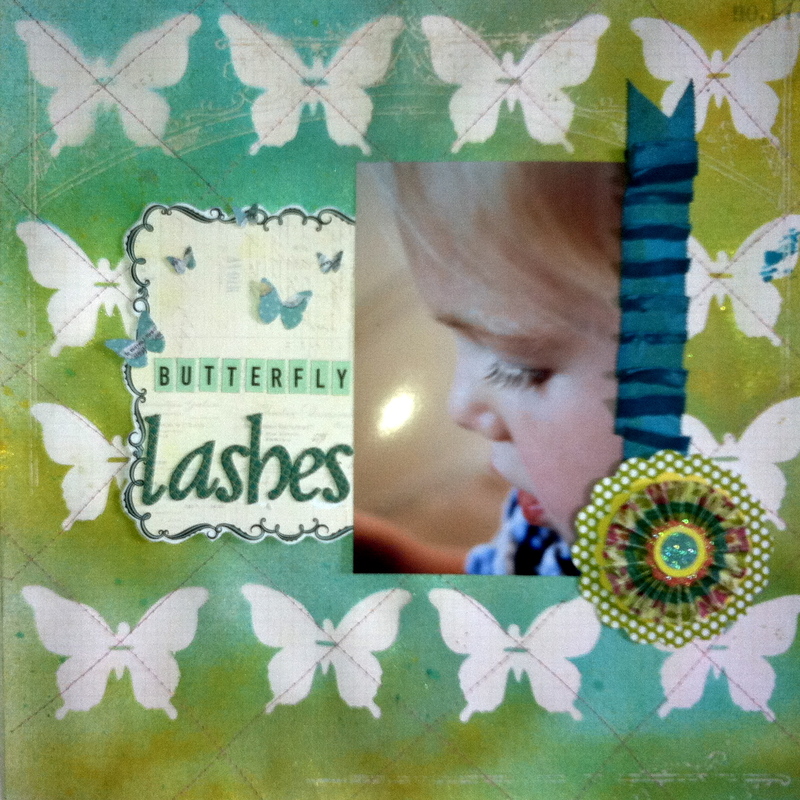 A few butterflies coated in Big Apple Glimmer Glam to cover up a stamping boo-boo and this card is ready to roll. Up next, a card with flowers using one of my favorite things to mist – Athletic Tape. 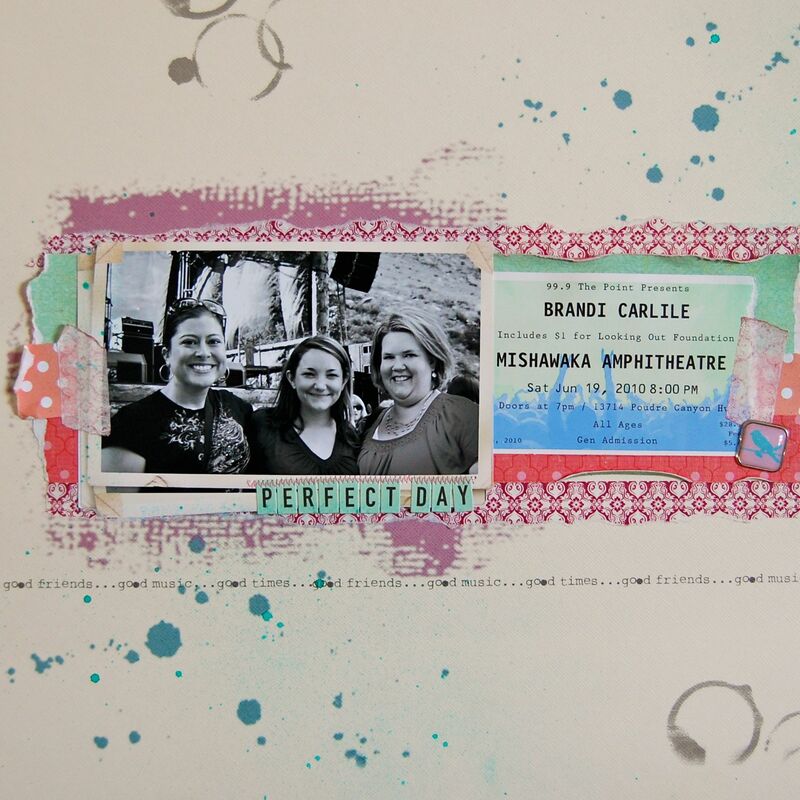 I discovered this one by accident and just love how the color saturates the tape without it losing it’s stickiness. 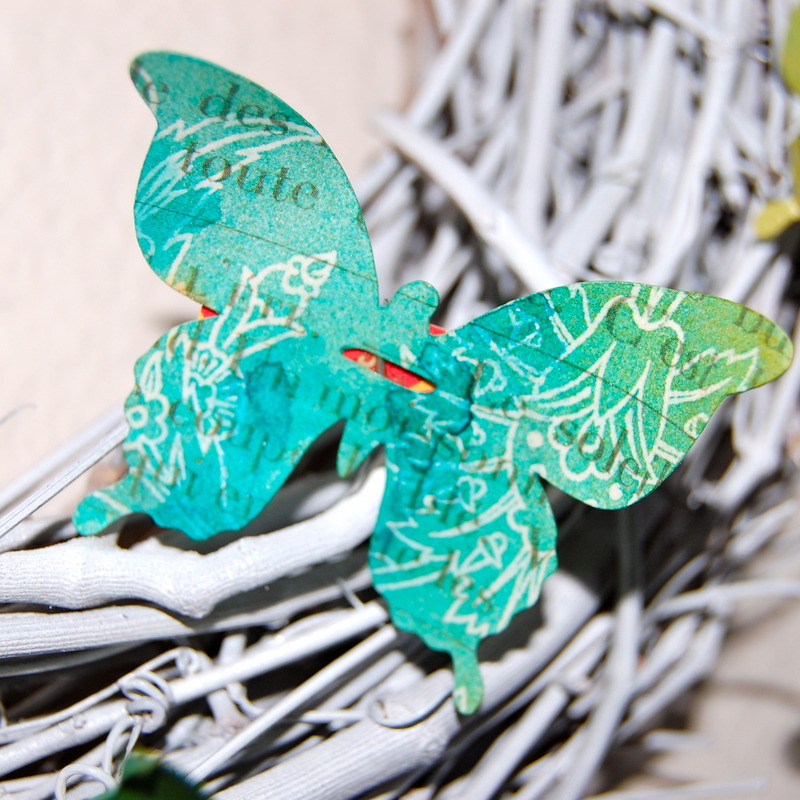 I sprayed strips of tape with Patina, Turquoise Blue and Dragonfly Glimmer Mists and then accordion folded them into flowers. 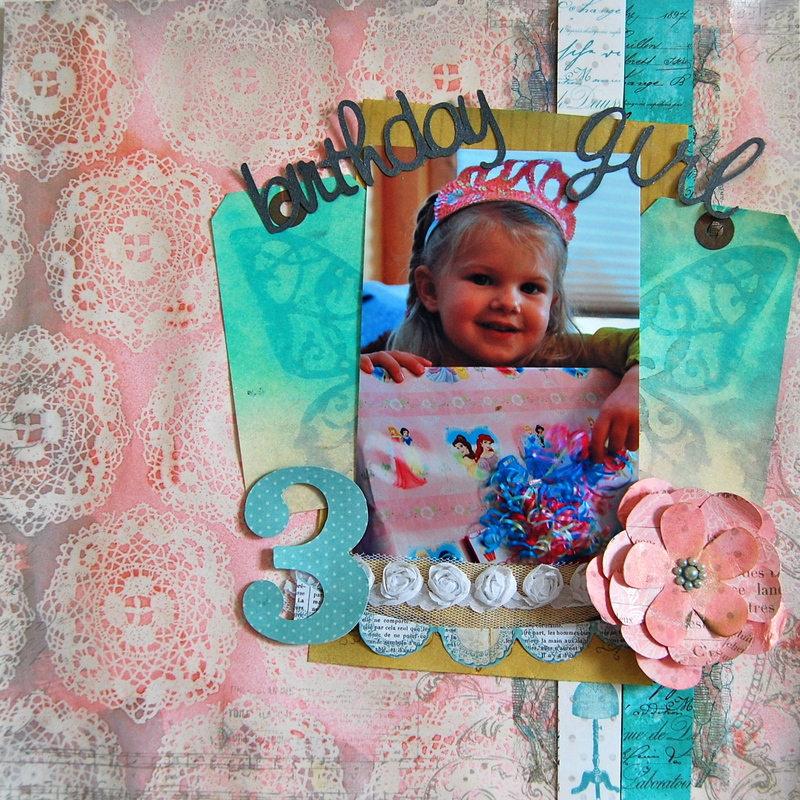 The tag was left over from last month’s Birthday Girl layout. For the background I used the plastic grid from a latch hook rug kit as a stencil. Have you noticed all the projects with pinwheels popping up around the web, it’s no wonder, they are a great icon of the carefree days of summer. I couldn’t resist making a card with them. For the background I was inspired by a piece of paper from Sassafrass’s Sunshine Broadcast collection – since I couldn’t really cut the paper to scale and maintain the look, I created a similar look with glimmer glam, mists and a little distress ink. Remember that Glimmer Glam works as a resist when you mist on top of it. I admit that I was not a huge U2 fan before this day – to be honest I bought the ticker to see The Fray and U2 was second thought. A month and a half later and I’m still in awe about this concert – truly one of the best ever. A reminder that great live music can make anything better – of only for a couple of hours. The day started out with mega miscommunication – so much that I went to see The Fray by myself (insert pity party here) and they did not disappoint. The night ended with me being angry and letting choice words fly and walking away – but the in between when the guys just rocked – it was magical. I love everything from U2 through the Joshua Tree album after that well I may have said something about selling out – I admit it, I was wrong. They are amazing! Short of playing everything from early albums, I couldn’t have picked a better set list. I believe that everyone in our life is there for some reason or purpose and I know the ‘Big Girl in the Sky‘ put the lovely Ronda Palazzari in mine for pure inspiration and encouragement. Slowly but surely, after each scrappy time together a little of Ronda rubs off on me and my pages get better. Here are a couple that definitely have that Ronda feel. I was lucky enough to have Ronda right next to me as I was working on the one above, it was almost done just a little something — more bling and some loopies. and this one I just finished yesterday, Ronda is the queen of paint and mixed media. Her’s always turns out looking perfect, mine not so much…but luckily for me along comes a tutorial on the SC Blog by Jenn O on turning splotches into digital brushes. 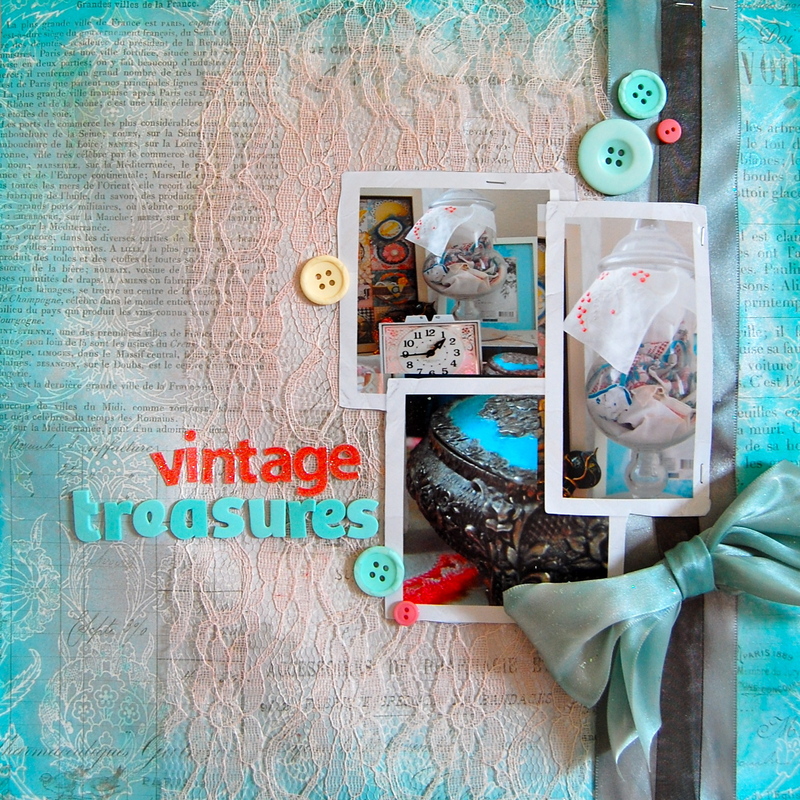 Jenn posted her samples on her blog to the share with the world and I am ever so grateful. the purple block, the darker blue splotches and the grey circles are all digital art. I sprayed a little glimmer mist on top for some contrast and a little something else. I think I’ve mentioned before that Ronda is responsible for my obsession with this wonderful product. 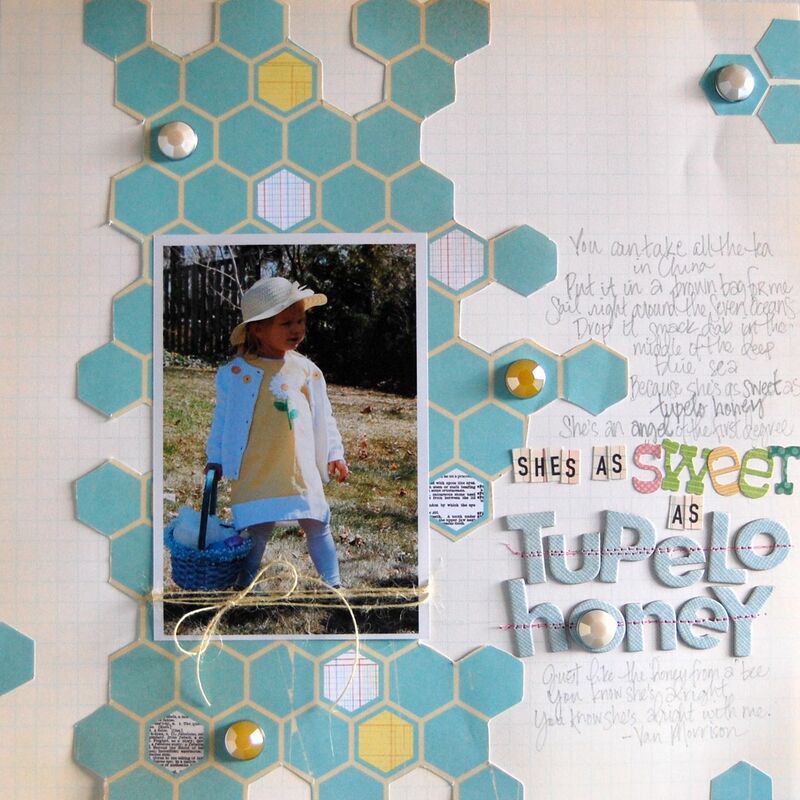 Before meeting Ronda I think I had 3 bottles (and one was a sample from CHA) and now, well thank goodness for Tattered Angel’s fairies and Archiver’s coupons because the bottle count is probably close to 20.
and one of my favorites has always been Tupelo Honey. Once upon a time(say 2007, maybe 08) I did a guest host for the now defunct(sigh) blog Journaler’s Junction hosted by my fab friends Emily and Heather, my chosen prompt: song lyrics. 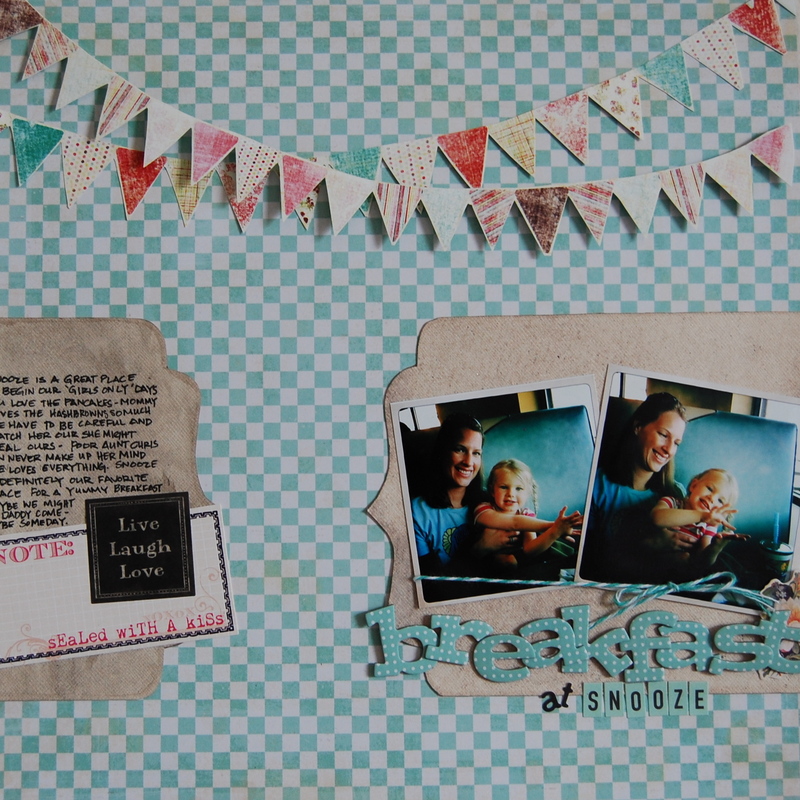 The ubertalented Lisa Dickinson did a layout using the lyrics from this very song. Fast forward two years and along comes the May Studio Calico kit with a honey comb paper. Since I haven’t been scrapping much the paper went into the storage bag with little love, then last night I had an idea to cut the paper in the way you see it here and then I noticed the name. The lightbulb went off…now it was my time to immortalize this great song. that I had this cute shot of Sienna in Easter Outfit #2 handy was a nice bonus.